Where can you find all the suspense, thrills, blood, and gore that reflect the dark underbelly of our world? Where do murder and voodoo curses stand alongside innocents and little children? Where do the kinder, gentler things disappear? 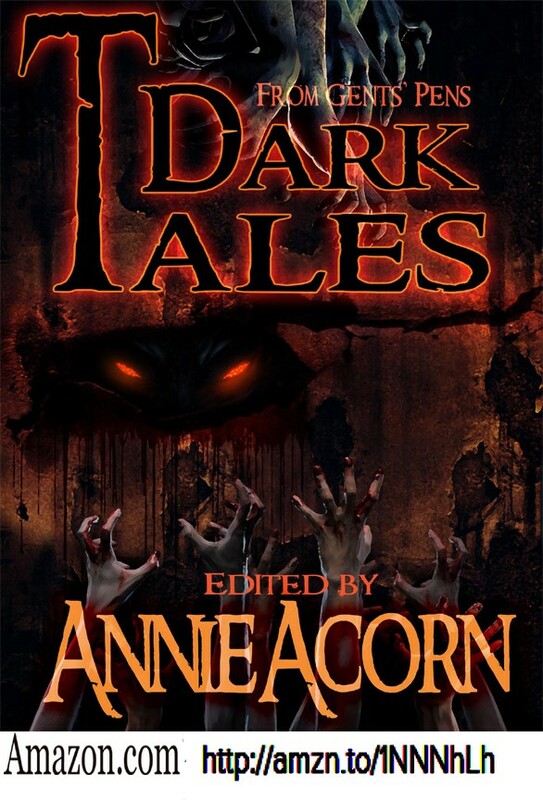 Within the tightly crafted stories gathered for your enjoyment by Annie Acorn into Dark Tales From Gents’ Pens! With their skillfully woven tales, the founding members of From Gents’ Pens, a cooperative of award-winning contemporary male writers, have forged a unique collection of stories that are sure to please those who enjoy a tingle running up and down their spines, as they face the monsters who no longer linger beneath their beds. Contains: The Halloween Clock by Annie Acorn, The Petrified Girl by Steve Cartwright, The Challenge of the Killer by Steve Cartwright, The Embalmer’s Apprentice by Steve Cartwright, The Reincarnation of Lou Gehrig by Joe Eliseon, The Horses of Paiute Canyon by D. A. Grady, The Two Hundred by K. Edwin Fritz, Shelter by William D. Prystauk, Ms. Grant by William D. Prystauk, The Dead and the Dying by Ron Shaw.